Posted on May 14, 2015 by Lea S.
But the answer is…naw. Not exactly. At least, not in the way you’re thinking. Maybe a little bit. Perhaps informally, in a friendly manner. But not quite exactly, no. Sorry, that was frustratingly unspecific. I suspect folks believe this because not everyone knows the full context of the silent era, or how many other comedians there were besides the Big Three of Chaplin, Keaton and Lloyd. Let’s remedy that! Back in 1914 former British music hall performer Charlie Chaplin joined the Keystone Film Company as a member of its famous stock company. He wasn’t terribly enthusiastic about films but fondly thought they might help his stage career. He swiftly learned the ropes of “picture” acting, created his signature Little Tramp character, began directing his own shorts, and even did his duty as a Keystone Kop. By the end of 1914, Chaplin was Keystone’s biggest draw and one of the most popular comedians in films. Notice how I said one of the most popular comedians. Who were the others? 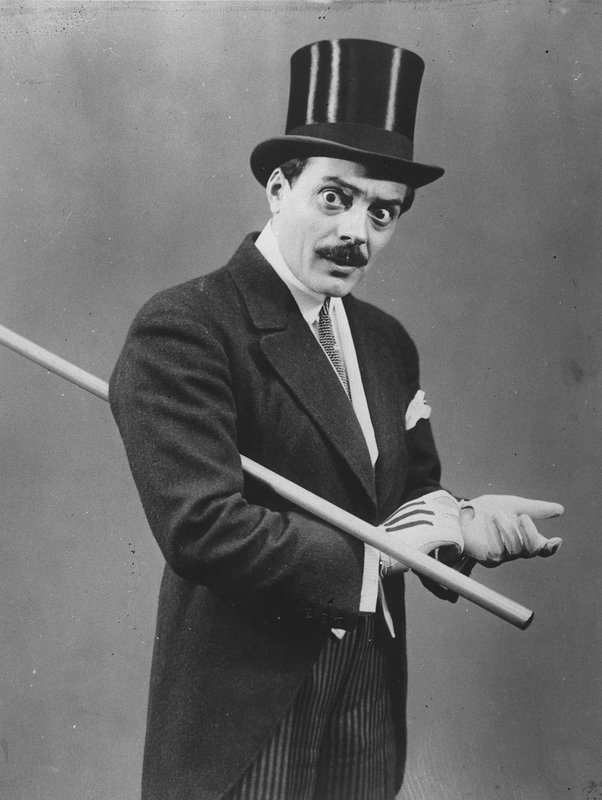 The kings of film comedy at the time were probably the top-hatted Max Linder and tubby John Bunny. Other big names in 1914 included Mabel Normand, Roscoe Arbuckle, Ford Sterling, Fay Tincher, and Mr. and Mrs. Sidney Drew. After leaving Keystone for Essanay, and then leaving Essanay for the freedom (and record-setting salary) of Mutual, Chaplin’s popularity only skyrocketed further. By 1916 he was not only one of the most popular film comedians but one of the most popular film actors on the planet–period. The public couldn’t get enough of the little man with the square mustache and funny walk. Pretty soon, even the intelligentsia couldn’t get enough of him. Significantly, in 1916 an article was published in Harper’s Weekly by stage star Minnie Fiske which proclaimed that Chaplin was a “genius” and (most significantly) an “artist.” Fiske grandly explained: “Chaplin is vulgar…[but] there is vulgarity in the comedies of Aristophanes, and those of Plautus and Terence and the Elizabethans, not excluding Shakespeare.” A comedian, being compared to Shakespeare? It was mind-blowing! Everyone started to look at him twice. And thus the moniker of “artist” (to say nothing of “genius”) has stuck to Charlie like Superglue ever since. The comedy film world was experiencing some changes by 1916, too. John Bunny had died the previous year and Max Linder was absent from the screen since he was recovering from severe injuries he had gotten in World War I. Chaplin’s closest rival at the time was the laughing, quick-thinking Roscoe Arbuckle. However, his King of Comedy crown was firmly in place and would arguably never get knocked off (keep this in mind!). And now we come to the year 1917, a mighty important year, as we shall see. New comedians were on the scene and drawing followings of their own: slapstick queen Alice Howell, zany Larry Semon, and some guy named Harold Lloyd (who had finally developed his “glasses” character). There were oddball clowns like Musty Suffer and cross-eyed Ben Turpin. Max Linder was back, although his career was on the decline. And Roscoe Arbuckle had his own studio, Comique, which was creating hit after glorious hit. There are a whole multitude of reasons why the Comiques were so popular, and one of those reasons was the presence of former vaudevillian Buster Keaton. Keaton was fresh off the stage when he joined Arbuckle’s company, which included seasoned film performers like spunky Alice Lake and the whirling dervish Al St. John. According to his own reminiscing, as soon as Keaton got acquainted with the movie camera he never looked back. Audiences and critics loved the supporting player’s antics onscreen. 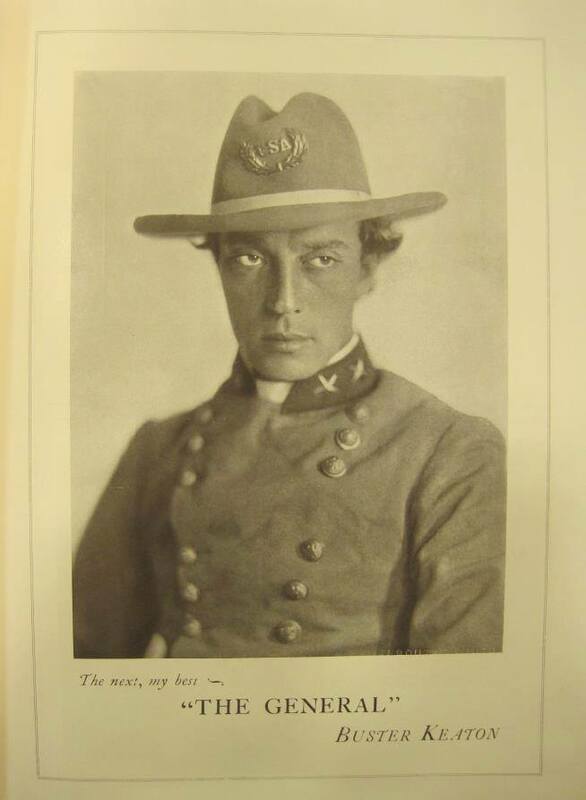 One review called him “the inimitable” Keaton, “whose pantomime and amazing falls…have made him famous.” Another writer called him “one of the brightest lights in the Paramount-Arbuckle comedies.” While he was serving in WWI Keaton was missed–and as soon as he came home he was given lucrative offers for his own film studio (he loyally stuck with Arbuckle). 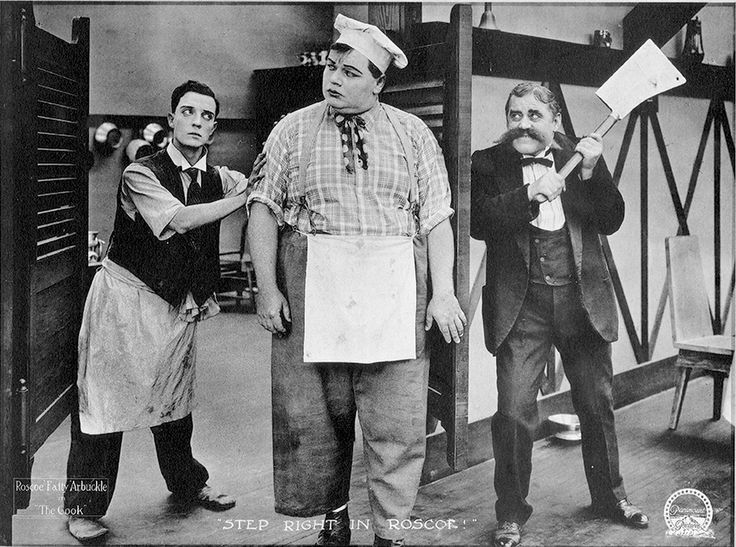 A lobby card for The Cook (1918). Keaton was still one of a multitude of supporting players in comedies at the time, but he definitely had the advantage of acting alongside the #2 comedian on earth (who was more than happy to teach him everything about making films). As Keaton was getting noticed in films, Chaplin was still sailing along. By 1920 there had been look-alike contests and merchandise galore. Other notable comic stars vying for a few of Chaplin’s fans were all-American types like Douglas MacLean and Johnny Hines, as well as clownish types like Al St. John and Snub Pollard. Little Sunshine Sammy was working through his long-term contract (he was not only a child actor but perhaps the only black silent comedy star). Alice Howell, Mabel Normand and Louise Fazenda were the main funny ladies. Larry Semon and Harold Lloyd were becoming massively popular, but this just meant they were coming close to the popularity Chaplin already enjoyed. And in 1920 another official comic rival came on the scene…Keaton, who had inherited Comique with Arbuckle’s very strong support. His first released short, One Week, was a revelation. The now “deadpan” comedian’s shorts were such hits that they were listed above the titles of the features movie theaters were showing. And now we come to the ’20s. Up until then Chaplin’s films always been blockbusters but a few had less than stellar reviews (like Sunnyside). That all changed in 1921 with his touching feature The Kid. Chaplin had been called an artist regularly since 1916, but after The Kid everyone under the sun was calling him an artist. He would make comparatively few movies after this, but that was alright: he was now a legend in his own time. 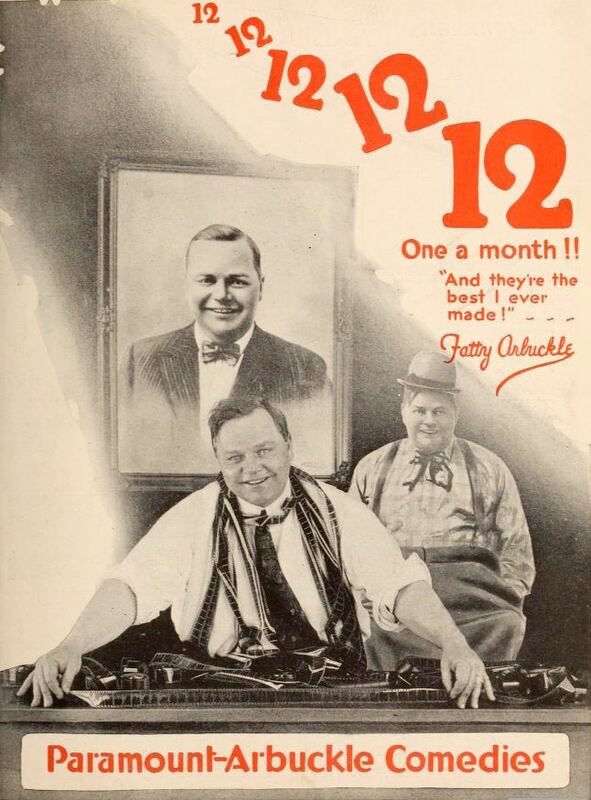 Another thing changed in 1921: chief rival Arbuckle was unfortunately out of the (film) picture. After the famous Labor Day weekend scandal and resulting trials, his films were banned from the screen (despite his innocence). This unhappy event left the way open for Harold Lloyd and Larry Semon to become the top comedians behind Chaplin. Lloyd’s many excellent comedies in particular would completely own the box office throughout the 1920s. He would be one of the top 10 stars of the decade–not just one of the top comedians, but top stars. Semon’s zany work would start to decline in the mid-20s, and he would pass away in 1928. Max Linder, once King of Comedy himself, would lose his battle with depression in 1925. 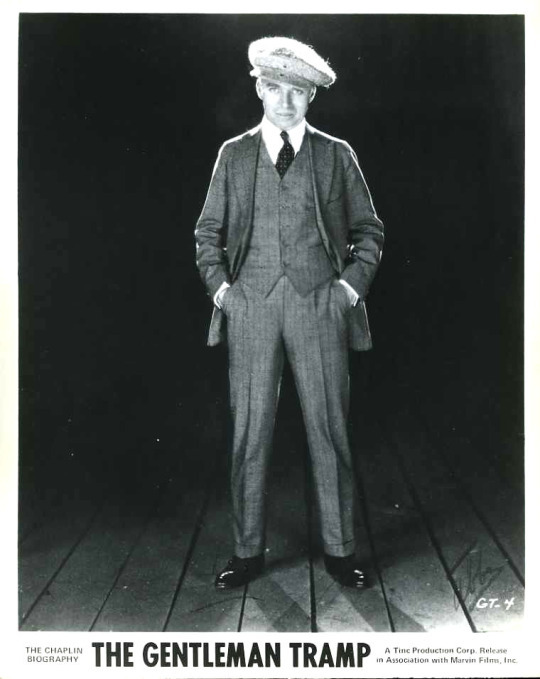 The next big comedian to skyrocket in popularity would be Harry Langdon, who popped up in the mid-20s and delighted everyone with his “Little Elf” character. And by the late ’20s Laurel and Hardy were teamed up, to priceless effect. And what about Buster? Well, if Chaplin was a lofty and untouchable #1 in the comedy world, and Lloyd was a solid #2, at the head of the pack of clowns vying for #3 was Keaton. He had savvily transitioned from making popular shorts to popular features in 1923. Some of his biggest hits back then were The Navigator (1924) and Battling Butler (1926), very 1920s-friendly films. You’ll often hear well-meaning fans sigh that Keaton wasn’t that popular in the silent era, because out of the Big Three of Silent Comedy his films had the smallest box office. However, I’m going to strongly urge you keep this doleful view of history from clouding your view of Keaton’s importance. Comparing Keaton’s box office to Chaplin’s and Lloyd’s isn’t quite fair–in fact, it’s downright silly. As we’ve established, Chaplin was the King of Comedy on a scale that’s hard for us to grasp today. Complaining that Buster didn’t make as many dollars and cents as Chaplin is like complaining that a distinguished Senator just isn’t President of the United States. Or that a cardinal isn’t the Pope. 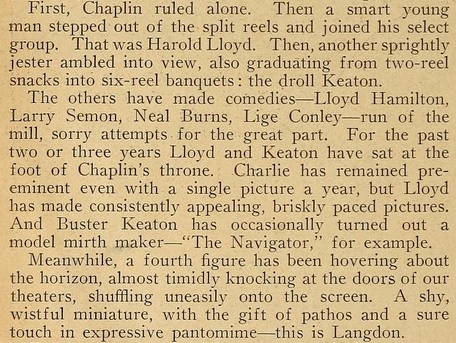 Because of this disparity in status, Keaton couldn’t be Chaplin’s rival in any technical sense. Lloyd, or, Mr. Blockbuster, is the closest thing we have (if Chaplin was President then Lloyd was definitely Vice President). However, being the #3 comedian in films was a massive achievement considering how much competition there was at the time. There were dozens of comedians, dozens of popular film series, and new stars being added to the marquees all the time. That Keaton could draw a consistent, loyal audience throughout the ’20s where so many lesser comedians had tried and failed is a testament to his talent. Interestingly enough, the Big Three of Silent Comedy seems to have been informally in place by the early ’20s. Exhibitors mentioned them causally while discussing their best draws, and audiences talked about them too. 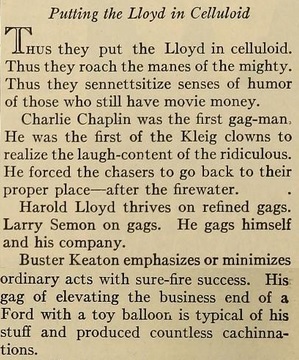 Writers regularly acknowledged the names Chaplin, Lloyd and Keaton while analyzing comedy. Favorites like Semon or Hines or Clyde Cook would get mentions at times, and Langdon would take his rightful place on the list eventually, but throughout everything the names of the Big Three did happen to pop up surprisingly often. “John Barrymore Speaks,” Picture-Play Magazine, 1925. “Well Sir, He’s a Scream,” Picture-Play Magazine, 1927. It’s fascinating to see that while there were, indeed, many popular clowns throughout the 1920s the Big Three were something extra special even then. To reiterate, during the 1920s Chaplin and Keaton weren’t neck-and-neck rivals, not in the box office sense and not quite in terms of outright stardom. 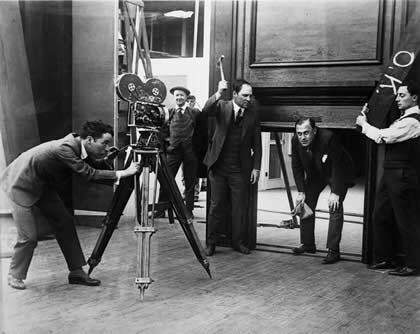 Keaton was below Harold Lloyd on both counts. 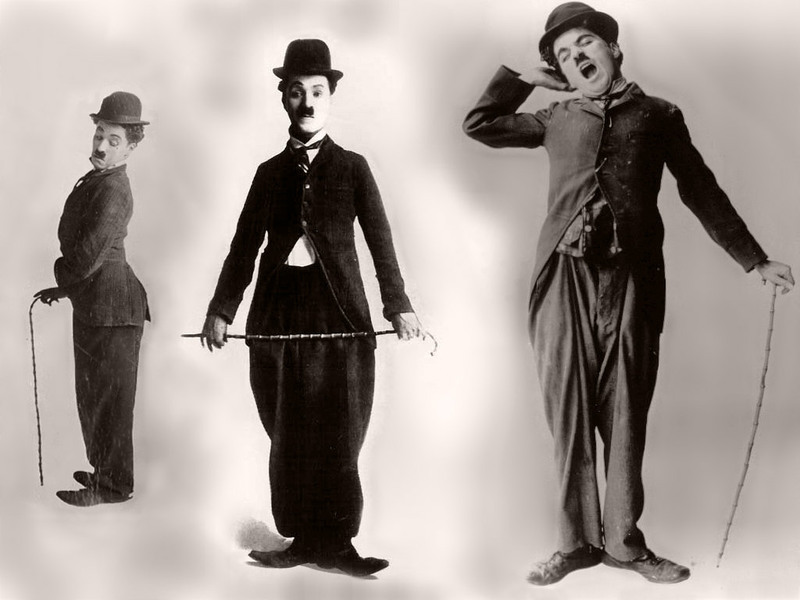 However, he was still one of the most popular performers in the silent era and was regarded as an excellent comedian in his time–by critics, exhibitors, and viewers alike. Chaplin and Keaton were also friends offscreen–Keaton once said, “We spoke the same language.” They clearly studied each other’s work, since similar gags would pop up in both their films. Chaplin visits the Comique set in 1918. TERKEL: I remember you once told me something about ten years ago, about you and Charlie Chaplin having friendly contests of who could do the feature film with the least amount of subtitles. KEATON: I think Chaplin won that. One of his pictures [had] something like twenty-one titles, and I had twenty-three. They may not have been literal rivals, but we fans sure make up for that with our passion now. (I’m team Buster myself.) I might be one of the few who doesn’t really mind those Chaplin vs Keaton debates–as long as the debate is civil and thoughtful, I say shine on, you crazy diamonds. But if you are ever adding film history to the discussion, let’s try and keep those facts straight. A little context can go a long way…and make our understanding of the era all the richer. Keaton, Buster, with Samuels, Charles. My Wonderful World of Slapstick. New York: Doubleday & Co., 1960. Kerr, Walter. The Silent Clowns. New York: Alfred A. Knopf, Inc., 1975. Massa, Steve. Lame Brains and Lunatics: The Good, the Bad, and the Forgotten of Silent Comedy. Albany, Georgia: BearManor Media, 2013. Robinson, David. 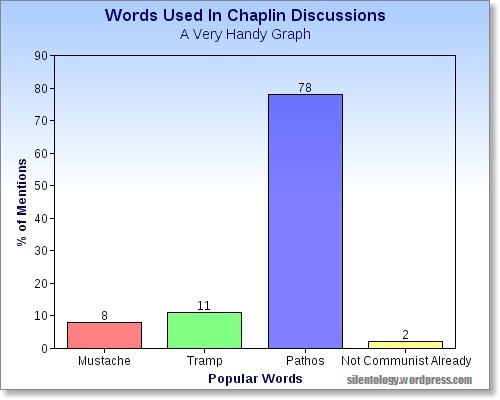 Chaplin, the Mirror of Opinion. Suffolk, England: Richard Clay (The Chaucer Press) Ltd., 1984. Sweeney, Kevin D., ed.. Buster Keaton: Interviews. Jackson: University Press of Mississippi, 2007. This entry was posted in History and tagged Alice Howell, Buster Keaton, Charlie Chaplin, Harold Lloyd, Harry Langdon, John Bunny, Larry Semon, Mabel Normand, Max Linder, silent clowns, silent comedians, silent comedy by Lea S.. Bookmark the permalink. Their styles of comedy were significantly different.I never believed they had any kind of rivalry other than to create with excellence. Chaplin’s choice of Keaton to play along side him in ‘Limelight’, I think, was the definitive statement of their respect for one another. Seeing the two of them together was so touching, I agree with you. Am also in agreement that their main goal was to create excellent comedies. “Getting laughs” was what they wanted most. 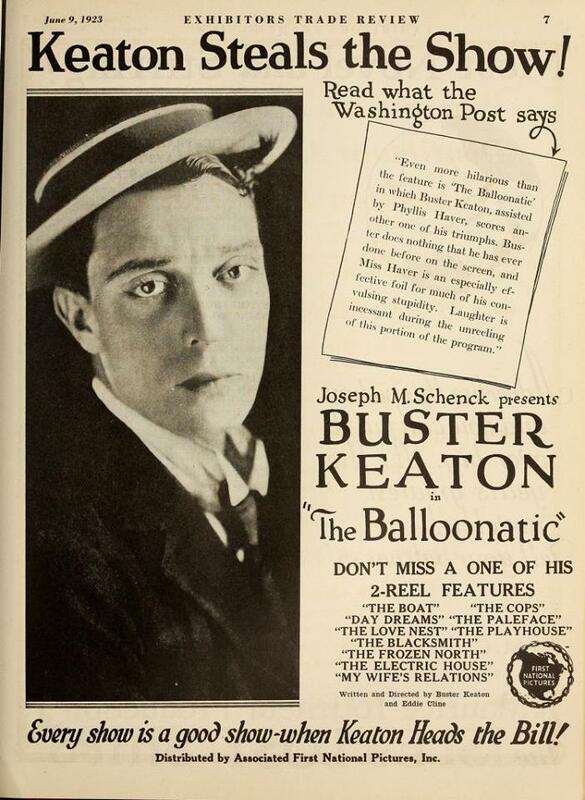 Supposedly Chaplin hired him thinking that Keaton needed a boost, not knowing that he was already making his comeback thanks to television. Whatever the case, seeing the two legends onscreen together is one of the great moments in cinema history. My feeling is similar to ayredirect above; if a rivalry exists, I think it’s between fans rather than the comedians themselves. Anyway, this is a very nice look at the discourse on their reputations! Agreed, it’s most definitely between the fans. (Countless Internet arguments can back us up!) Personally, while I’m team Buster I love everyone’s work, and find that studying as much of everything as I can gives me a much deeper understanding of just how good Buster’s films were, and how he fits into the era. I’m glad you enjoyed the article! 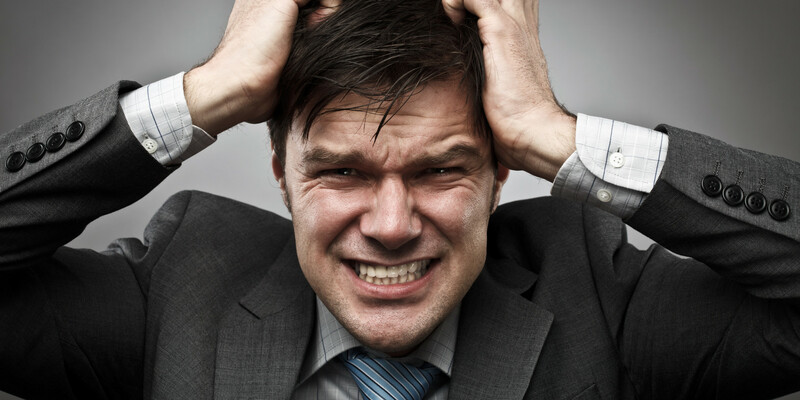 Sometimes, in old age, even great humanitarians turn cranky. I imagine that Mr. Chaplin’s long exile to cold Switzerland from warm Southern California must have worn on him. The United States government treated him shabbily in the McCarthy era. It brought a bitterness even to his works after ‘Limelight’. It is clear that he retreated into the primary identity of misunderstood artist. Thanks for the interesting info and link, florencisalesas. I concur that we have to take such stories with a grain of salt, especially if the only source was a supposed “friend” of Buster’s (for instance, Louise Brooks always talked as if she was practically his BFF, although it’s doubtful that she knew him well–if at all! 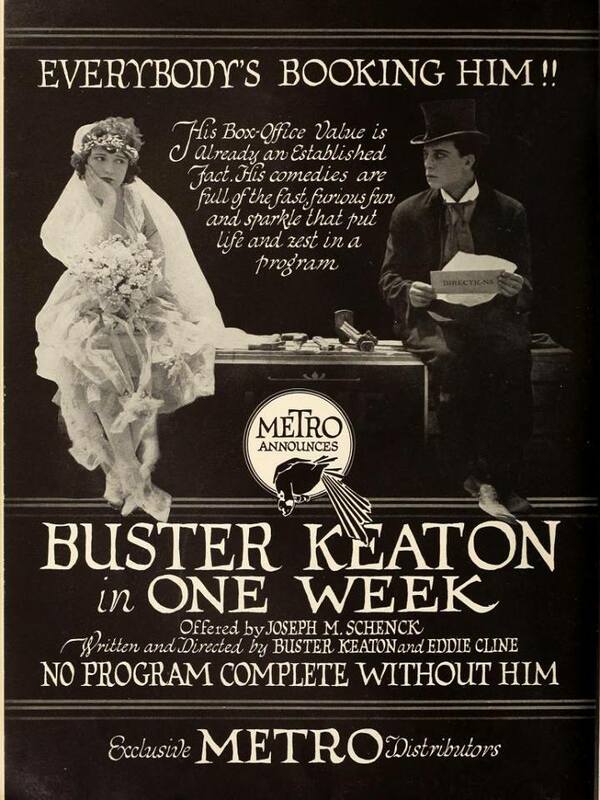 Source: David Pearson of the International Buster Keaton Society. 😉) I’ll say that in all honesty I don’t believe stories of the two disliking each other, since Buster himself always said they were friends and so did Eleanor Keaton (and they were very honest people). 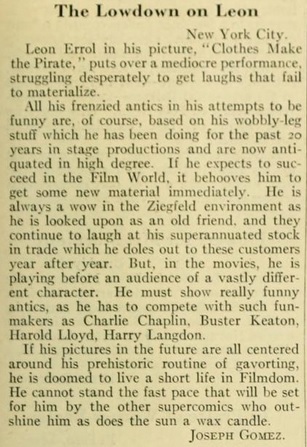 Buster did become critical of Chaplin’s “laziness” in taking a long time to make his later films, but criticizing someone’s work is a completely different ball game. Thank you. Yesterday was my first time at this site. It will not be my last. Fascinating stuff, with enough in it to trigger several thoughts (not sure they add up to anything coherent, but I’ll do my best!). I’m still on a learning curve, silent comedywise, and until recently I wasn’t aware of many of the ‘second tier’ performers. Paul Merton (British comedian and big champion of the silents, even though his own work is very verbal) did a tv series and book called Silent Comedy (does exactly what it says on the tin!) that filled in some gaps – he’s pretty scathing of Ben Turpin for example on the basis of building a whole career on being cross-eyed. Over time, I think you’d expect (or at least hope) that the cream would rise to the top but it’s fascinating how stratified the stars seem to have been even during their careers. Is there a similar circumstance today? Beyoncé and Rihanna seem to stand apart from their peers maybe? On the rivalry between fans, I think that’s healthy (you often have the most interesting conversations with those who disagree with you) so long as you accept the possibility of preferring, say, Keaton but still enjoying, say, Chaplin. We do seem to have a growing tendency to see things in binary terms. I went to an excellent evening of live music and (primarily Keaton) silent comedy a few months ago, when it was announced that the next short would be a Harold Lloyd there was an audible murmur of disapproval. All very unnecessary. That said, I still think Limelight is terrible apart from the bit with Buster! Finally, and somewhat off topic, I do find it odd that do much of the publicity from that era seems to have been aimed at cinema owners rather than the general public. Is that a quirk of what’s survived or were people just expected to turn up to whatever was showing? Anyway, I seem to have rambled on somewhat. Just to reiterate – great blog, entertaining and informative as always! I love your thoughts–thanks for sharing! I, too, have seen some of that binary thinking when it comes to the various silent comedians. Much of it seems pretty silly to me. Chaplin, Keaton, Lloyd, Arbuckle, Normand, Langdon, Semon, Linder–they’re all such fun and have so much to offer, why not embrace all of them? You don’t have to like all of their work equally, of course, but at least be open to chuckling at something new once in awhile. If your favorite color was red, would you really get upset at the sight of blue? The world needs the full spectrum of color, after all. I’m thinking that the reason so much publicity is aimed at exhibitors is because many of the vintage ads we have today come from trade magazines. Regular folk seemed to hear about films not just from magazines but newspapers and whatever posters/lobby cards the theaters had. Also those “Coming Soon” slides, come to think of it. The Chaplin/Keaton fight is ridiculous and gets much too out of hand for my tastes. I hate when people put actors and filmmakers in competitive camps: Karloff/Lugosi, Crawford/Davis, Star Wars/Star Trek– friendly debates are fine, but when it gets to mean-spirited bickering, just cut it. I especially cannot stand it when critics join the battle. 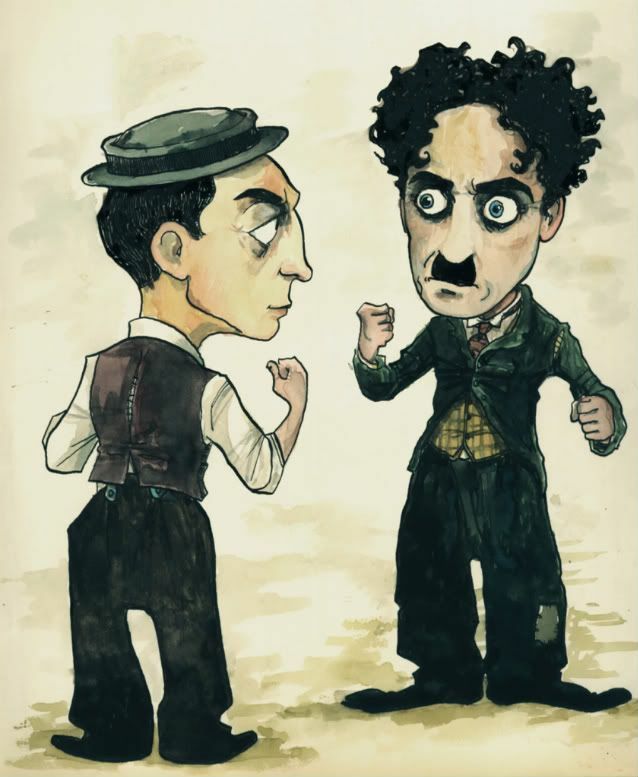 In a second edition of Buster’s autobiography, the forward written by Dwight MacDonald felt the need to bash Chaplin in order to build Keaton up, a childish maneuver in my opinion. This is not a comment on the so-called rivalry. That has been nicely covered here. Commenting on the name Nitrateglow. It is a wonderful choice. Most don’t know that when writers write of the ‘silver screen’, it is a reference to the silver nitrate that was used to manufacture motion picture film. Too bad it was so flammable that it had to be replaced with acetate stock. The nitrate glow helped make the silent era an experience of magic. The screen was truly then silver. Yep, people tend to forget the context behind the “silver screen.” That was exactly what I had in mind when picking my username: the glow those old movies have, the way they glisten. Thank you for noticing! What gets me, in particular, is when fans of one comedian refuse to watch another one’s work, as if doing so would make them disloyal. Silliness, my friends, SILLINESS. Quite the contrary–watching as much silent comedy as you can will help you understand just why your favorite’s is special or how their brand of comedy is unique. Besides, comedians back then tended to be friendly with one another and definitely liked to see and study each other’s work; they would be very much in favor of us watching their buddies’ films! At least Ebert didn’t get too ridiculous as far as I remember. It’s been years since I read that particular review; doesn’t he say something like he feels Keaton is more of an everyman or more plausible as a romantic lead or something like that? Yeah, the comedians borrowed (ie stole) gags from one another all the time back then. I may love Keaton best, but I still thoroughly enjoy Lloyd, Chaplin, Davies, and countless others. Just because you like ice cream doesn’t mean you cannot indulge in other desserts, jeesh! I think that’s a bit messy when we get to comparing personal histories in that way, but at least Ebert remained tasteful. I prefer to stick to what’s on the screen when assessing filmmakers, though it is tempting to do otherwise. It is a fabulous review though. I miss Ebert, even if some of his later reviews complained a little too much about how awful 3D is as a trend. Fascinating!!!! Fascinating, with a capital “W”!!!! I get chills thinking of Keaton and Chaplin, sitting around, talking shop……who can make the film with the fewest inter-titles!!!! Fantabulous!! I agree, it’s completely unfair to compare the two…as in the word “incomparable”! Or even Lloyd and Keaton! They were all completely different, with different approaches. Obviously they owed a small debt to Chaplin. Langdon, too. And…Arbuckle completely deserves his place up there. And Max Linder, too, so happy to see him mentioned in this article!!! For my money, predating Pickford as he does, he’s the first person to really “pop” off the screen, in a completely modern way. And be consistently hilarious. And let’s face it…..they ALL make us laugh! Hard!!! Over and over again! Colleen Moore, too! Ooooo, Lea, could you write an article about the Greatest Silent Clownettes? (Clownesssas? Clownarellas?) That’s much needed, and I myself could use an education! Max, Mabel and Mary all definitely deserve some articles in the (not too far away) future! And speaking of Max, aren’t his films amazingly fresh? As incredibly old as they are, they’re filmed so nicely and timed so perfectly too. I would certainly like to write about Clownarellas in the future, either as one big article or a series of smaller ones. Louise Fazenda for example is one of my favorites and could use some more attention! I don’t know Louise!!!! Case in point!!! I will seek her out as soon as I get home!!!! And yes, that’s EXACTLY what I can’t get over about (poor) Max! His movies are so…contemporary!!! And they’re 1908, 1909! That’s what I meant when I said he’s like one of the first (if not THE first) to really pop off the screen in a contemporary way (at least so far as I’ve seen). Did you ever see his parody of “The Three Musketeers”, called (I think) “The Three Must Get Theres”. You have to watch it, but only after you’ve had a fresh viewing of The Musketeers! AND “Through The Back Door” (pickford). In Max’s film, he is does a really detailed parody of the Fairbanks movie….and then he suddenly recreates the scene of Mary trying to move the donkey….except, he doesn’t parody it…he simply recreates the entire thing, like an homage! I would have totally missed what he was doing had I not seen “Through The Back Door”! On You Tube, I finally found the documentary his daughter did, “The Man In The Silk Top Hat” I think it’s called, have you seen it? I “ripped” it (to be on the safe side! ), but haven’t watched it yet….it’s high on the list though! Lea, it is SO great to finally be bouncing this stuff off of someone who understands because mostly people’s eyes just glaze over, and they politely nod, like my aunt this weekend!!! Louise Fazenda, that’s who I’m going to watch tonight….I can’t wait!!! If you have any specific recommendations, I will take them to heart!!! O Louise, forgive me for not knowing of you sooner! I hope this translation is right ! I’m team Buster too! And I don’t really care about the debates either. 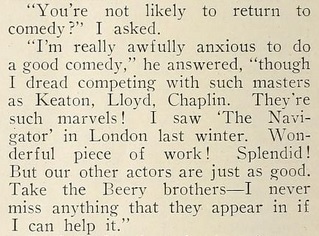 It’s interesting that Lloyd Chaplin and Keaton were all said in the same breath back in their day. Theirs was a very special time! Thanks for the great insight about the silent era.